Vueling, the Spanish premium low-cost carrier, has selected ParkCloud as its partner for airport parking services. A reputation for steady and continuous growth along with a strong presence in Spain and Italy made ParkCloud the obvious choice for a collaboration, given its widespread parking coverage within these markets and beyond. The partnership is expected to introduce a brand new service to Vueling passengers whilst opening up new sales channels for both companies. "Working with ParkCloud means taking our offer further: it will complete our passengers' journey experience, by being able to plan ahead and pre-book a parking space, avoiding the stress of finding parking right before taking the flight", said Maria Cardenal, Head of Product Development at Vueling. ParkCloud will provide a choice of onsite and offsite car parks across Vueling's entire network, including London-Luton, where the airline recently announced it would be starting a new service in the summer to Zurich, alongside Barcelona and Amsterdam. The parking reservations portal designed by ParkCloud was integrated into Vueling's systems and will allow passengers to compare and choose a range of parking options and prices from their departure airports, alongside other optional travel services, such as reserving a hotel or hiring a car. Natalia Gracia, head of partnerships at ParkCloud commented: "We are very happy to have launched parking services with a growing airline like Vueling. Passengers can now pre-book a parking space at nearly 100 airports, with a choice of different services and prices, in just a few minutes." She added: "We aim to increase the parking offer for Vueling's passengers as we expand to new airports and products". Vueling was founded in July 2004 with two Airbus A320s, four routes, and a commitment to offer excellent customer service at highly competitive fares. 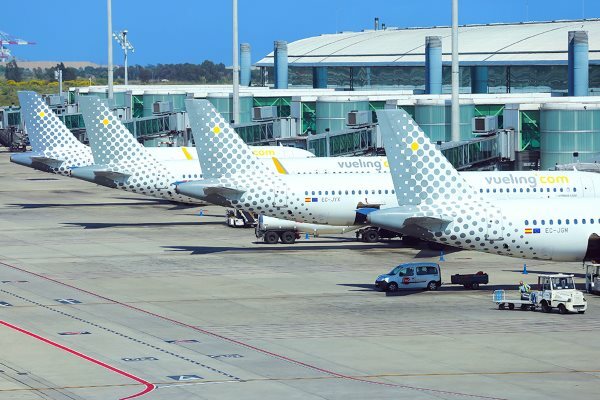 Twelve years later Vueling is operating on more than 410 routes to more than 160 destinations in Europe, the Middle East, and Africa, with a fleet of more than 100 aircraft and 23 operating bases. In its first decade, it carried more than 95 million passengers.